The Mini Cream Keepsake Urn is a marble urn. 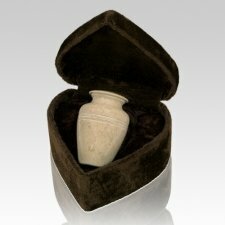 It will create a peaceful memory for eternity; this urn is a true piece of art. The Urn is coated and etched to perfection.